A symbol of appreciation and generosity. NOTE: This product is currently available for sale online with delivery in the Adelaide Metro area. Free shipping for orders of $100 or more. 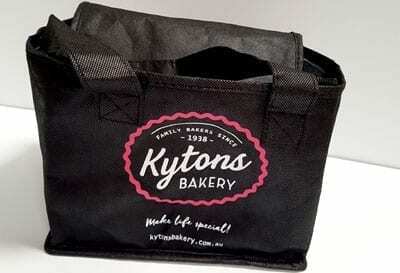 These small, Kytons cooler bags, are perfect for stashing some packs of hot cross buns or lamingtons but also just right for packing your lunch each day.